The Little Flower in the U.K.
How does a person become canonized? Today is the Feast of St. Jerome, saint and Doctor of the Church. He was a priest and secretary to Pope Damasus in the years 382 to 385. 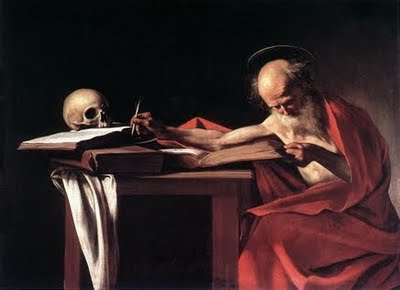 The painting of St. Jerome above is by Caravaggio and was painted in 1605. The Old Testament was written in Hebrew and the New Testament in Greek. The Psalms and portions had been translated to Latin but not the complete group of books. Pope Damasus had St. Jerome produce a bible in the language that every day people could understand, Latin, and the Latin Vulgate bible became _the_ bible used within the Church. His insistence on using the oldest available original texts set a precedent for biblical study that influences us now with Church scholars learning Hebrew and Greek. His great statement, "Ignorance of the Scriptures is ignorance of Christ", rings out strongly to the present time. Baronius Press has an edition of the bible with the Latin Vulgate on one page, and the English translated Douay-Rheims version on the facing page. The translation of the Latin is very literal and give you a great feel for St. Jerome's writing. By having the texts side by side, it will also give you a chance to learn a little more Latin. 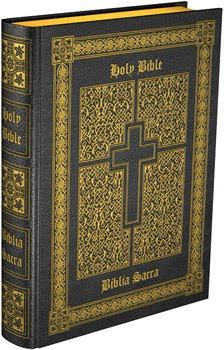 Information on this bible is available by clicking here. Our ministry here on the internet is focused on communications. The Archangel Gabriel, as pictured above in the Annunciation by Leonardo Da Vinci, is a wonderful guide for us to follow here on his Feast. Never has a Pontiff emphasized more that he wants us to embrace technology to promote the Word. Today, a new announcement related to using technology to increase collaboration and communion has been released in Rome. Each year on the Feast of the Archangels, the Vatican announces the theme for the next World Communications Day, which will fall on January 24, 2010 --- the Feast of St. Francis of Sales, patron saint of journalists. "The Priest and Pastoral Ministry in a Digital World: New Media at the Service of the Word" is the theme. The aim of the Message is "to invite priests in particular, during this Year for Priests and in the wake of the Twelfth Ordinary General Assembly of the Synod of Bishops, to consider the new communications media as a possible resource for their ministry at the service of the Word. Likewise, it aims to encourage them to face the challenges arising from the new digital culture". "The new communications media, if adequately understood and exploited, can offer priests and all pastoral care workers a wealth of data which was difficult to access before, and facilitate forms of collaboration and increased communion that were previously unthinkable". "If wisely used, with the help of experts in technology and the communications culture, the new media can become - for priests and for all pastoral care workers - a valid and effective instrument for authentic and profound evangelisation and communion". Today is the feast of the Archangels, St. Michael, St. Gabriel, and St. Raphael. You should be aware that the word "angel" denotes a function rather than a nature. Those holy spirits of heaven have indeed always been spirits. They can only be called angels when they deliver some message. Moreover, those who deliver messages of lesser importance are called angels; and those who proclaim messages of supreme importance are called archangels. The name of each archangel also denotes a function. Michael means "Who is like God?" Before The Fall, when Lucifer called the other angels in heaven to stop serving God and become Gods themselves, that was Michael's answer --- and Michael then enjoined Lucifer in battle. The name of Michael was the war cry of the angels. Gabriel means "The Power of God". He was the angel to appear before Mary at the Annunciation, saying "Hail Mary". Raphael means "The Healing Power of God". He protected Tobias on his journeys. The painting pictured above was painted by the artist Raphael in 1505 and is in the Louvre picturing the great battle. In the left background, are hypocrites wearing leaden coats. On the right are thieves tormented by serpents. 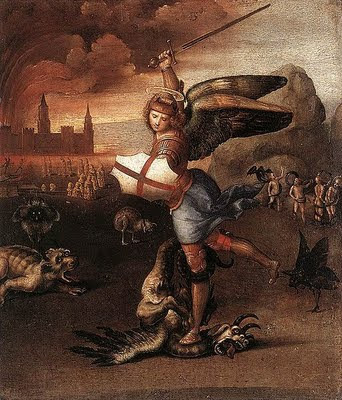 St. Michael prepares to deliver a blow to Satan, pinned beneath his foot. St. Michael the Archangel, defend us in battle. Be our safeguard against the wickedness and snares of the devil. May God rebuke him we humbly pray. And do thou, O prince of the heavenly host, by the power of God, cast into hell Satan and all the evil spirits who prowl around the world seeking the ruin of souls. Amen. 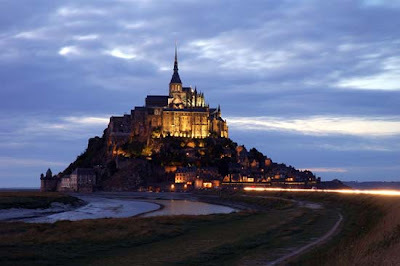 Below is a photo of Mont St. Michel in Normandy. According to legend, the archangel Michael appeared to St. Aubert, bishop of Avranches, in 708 and instructed him to build a church on the rocky islet. St. Aubert repeatedly ignored the angel's instruction until Michael burned a hole in the bishop's skull with his finger. That put St. Aubert to work. The dedication to St Michael occurred on October 16, 708. The current week's homily is available on a link on the front page of the website next to the link for the current week's bulletin. On the page with the prior bulletins, the corresponding homily will be sitting side by side with its bulletin. We started on the anniversary of the start of the Catholic Church, Pentecost Sunday. This week, The Twenty-Sixth Sunday in Ordinary Time, is our eighteenth homily to be posted. This week, the homily is given by Monsignor J. Robert Romero. So, take a listen and let us know what you think. Click here to download the Twenty-Sixth Sunday in Ordinary Time homily from St. Landry Catholic Church, Opelousas, Louisiana. It's Monsignor Romero's birthday today! Happy Birthday Monsignor from all of us! It seems like just last year we celebrated the last one ... ha ha! We all wish you a wonderful day and thank you for the great work you do for us as pastor for our parish and as vicar for the northern part of the Diocese of Lafayette, Louisiana. Those of you who would like to send your birthday wishes to Monsignor can click here to send a message through the parish website or just drop an email to the below address. With the Diocese of Lafayette, Louisiana celebrating Family Day, we can look to the timely words spoken this very day by Pope Benedict XVI at the Church of Our Lady Victorious in Prague within the Czech Republic. The statue of the Infant of Prague is within that church and the Holy Father chose a family oriented theme for his words. Below is the full text of the Holy Father's remarks. 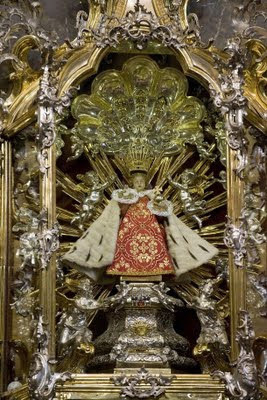 Visit to the "Holy Infant of Prague"
I greet all of you warmly and I want you to know what joy it gives me to visit this Church, dedicated to Our Lady of Victory, where the faithful venerate the statue of the Infant Jesus, known throughout the world as the “Holy Infant of Prague”. I thank Archbishop Jan Graubner, President of the Episcopal Conference, for his words of welcome spoken on behalf of all the Bishops. I offer respectful greetings to the Mayor and to the other civil and religious authorities present at this gathering. I greet you, dear families, who have come in such large numbers to be here with me. The Holy Father, Pope Benedict XVI, has arrived in the Czech Republic. He will be touring the country for 3 days. 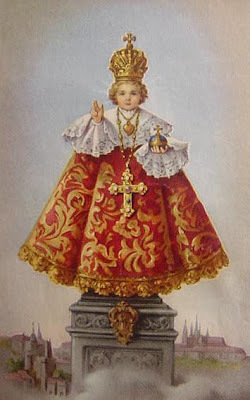 While there, he will see the Infant of Prague at the Church of Our Lady of Victory. EWTN will have coverage of his trip from 10 AM to 12 PM CST and 5:30 PM to 7 PM today. Tomorrow, it will have coverage from 11 AM to 2:30 PM. Monday, it will have coverage of the final mass at 4 PM to 6 PM. EWTN is found on channel 35 on Charter Cable in Opelousas. The photo above is of the Infant of Prague in his new raiments for the Pope's visit. At St. Landry Catholic Church, we have a statue of the Infant of Prague. It sits in the southeast corner of the church either next to St. John Vianney or the Blessed Mother. 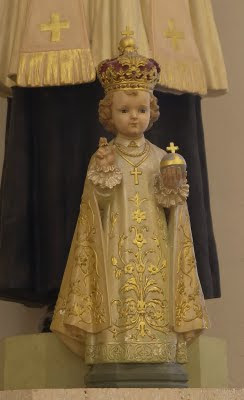 To see the statue in St. Landry Catholic Church, see the bottom of this posting. The Holy Father will celebrate mass on Monday for the Feast of St. Wenceslas, patron saint of the Czechs and martyr. King Wenceslas helped to depose an anti Christian regime and is credited with bringing Christianity to the Czech people. The mass will be celebrated in Stara Boleslav, where Wenceslas was murdered by a brother who was sympathetic to anti Christian forces. September 28 in the Czech Republic is a national day of pilgrimage to Stara Boleslav. Many of us know of St. Wenceslas from the carol. On this weekend we celebrate Family Day in the Diocese of Lafayette. Family life is called the ‘domestic church’. With today’s fast life, it is hard for families to strengthen each other. One way many people tell us to help family life is to make sure families get together for a family meal. Get together for five meals a week, not just one meal a week. Also, sharing prayer and life episodes help family life be a school of holiness. Heavenly Father, we give you thanks for all you have bestowed on us, your people. Thank you for allowing us to serve those people you have sent into our lives. Thank you for enabling us to learn your gifts of forgiveness, compassion, patience, joy, peace and love from these precious souls we call our family, as well as, from life’s daily challenges. We ask for your blessings today. Empower us to represent you well. Bear us up when we fall and forgive us when we falter. Bless each of us to reflect your presence to the world as we go through our daily lives. Allow each of us to continue to bring your love to the world through our personal touch. We ask all this in the name of your Son, Jesus Christ. Amen. The cries of those unjustly treated have reached the Lord. Whatever causes you to sin, cut it away. Today’s scriptures challenge us to re-examine our behaviors, attitudes, and priorities. The words of Saint James in today’s second reading are enough to make anyone shudder. The Lord Jesus is straightforward with his followers when he tells them, “Whatever causes sin, cut it away”. As the word is proclaimed this day, let us be open to its challenges to become more and more like Christ. In what specific ways do you share with the poor from what you have been given? Who are the people you have met who are against you? Are there people who persecute you because of your faith? How do you treat these people? In today's worldwide community, who are the rich and what does God want of them? It is time for the annual Ministry Fair at St. Landry Catholic Church. In the rear of the church, after each mass this weekend, you will find tables set up displaying the various ministries and groups active at St. Landry Catholic Church. We want you to take advantage of the help these various ministries can bring to you and your family. But we also want you to think about joining one of these ministries in order to help others and give back to our community. Members of each group will be there to greet you and answer questions. There is a sign up sheet at each table. Please add your name to those groups you feel could use your help. 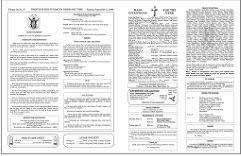 Pick up a sheet at our internet/web table that lists all of the various ways you can get information about St. Landry Catholic Church on the internet. We look forward to seeing you this weekend. The United States Conference of Catholic Bishops have released numbers showing the population of archdiocese and diocese in the U.S.
For the entire nation, click here. 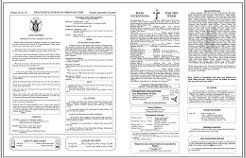 The bulletin for the weekend of September 27, 2009 has been posted. Click here to see it. Today is the feast day of Saint Thecla. She is thought to have lived in the first century of the church and was engaged to be married. She heard St. Paul's discourse on virginity and decided to follow him. There are stories of her being saved from being martyred by miraculous events including by rain when an attempt was made to burn her at the stake. Saint Thecla spent her days following St. Paul on his apostolic journeys also preaching the good news herself. Recently, the oldest known fresco of St. Paul, dating to the 4th century, was found in the Catacomb of St. Thecla in Rome. 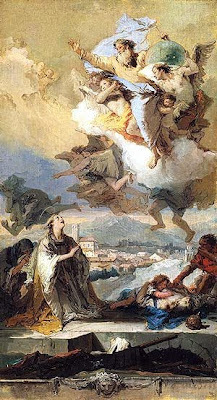 It is called "Saint Thecla Praying for the Plague-Stricken" and was painted around 1758 by Giovanni Battista Tiepolo. This is a preliminary sketch for one of Tiepolo's greatest religious works, the 22 foot-high canvas in the apse of the cathedral at Este, near Padua. Commissioned in 1758 and installed on Christmas day, 1759, the picture commemorates the plague of 1630 when the townspeople of Este prayed for the intercession of Saint Thecla. The first-century saint is shown among victims of the plague, praying to God; the town in the background is Este. On Monday evening, 28 September at 6:30 pm, in Valentin Hall, a Safe Environment presentation will be held for ALL registered high school religion students AND their parents. It is a Diocesan policy that all students and their parents attend the presentation. Our prior posting references St. Therese and Priests including the events at the Carmelite Monastery in Lafayette, Louisiana. As we approach the Feast of St. Therese of Lisieux, the Little Flower, Thursday, October 1, there are many events happening world wide. Currently, a reliquary containing the relics of St. Therese is touring England and Wales for an entire month. St. Therese had a very short life and taught that acts of heroic virtue aren't the only thing that define saints. Doing everyday things with great love and without complaint are core to her vision of a saintly life. Here is a short article on the tour in the Times of London: click here. Here is an article on why we should venerate relics from the Catholic Herald in the UK: click here. 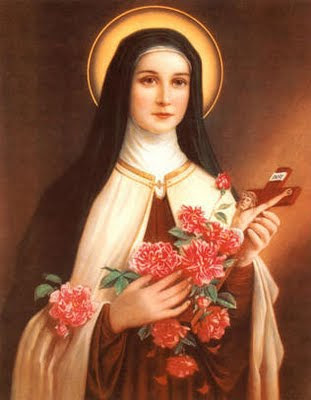 And this is a detailed article on St. Therese and the tour of her relics: click here. Lastly, here is the website of the Society of the Little Flower where you can find prayers and prayer cards and a whole host of things related to her: click here. Shortly before she made her Profession, in answer to a formal inquiry as to why she had entered Carmel, St. Therese affirmed: “I have come to Carmel to save souls and to pray for priests”. Although St. Therese had always had the greatest respect for priests, she also realized they were fallible and human, like everyone else. Our focus for the Novena honoring St. Therese in this Year for Priests will be to do as she did: to pray and sacrifice for all who share the great privilege of the ministerial priesthood, not forgetting to include our own personal intentions. We invite you to join us for the Novena (made privately) and for the Blessing of Roses (see the schedule below). O Jesus, eternal Priest, keep your priests within the shelter of your Sacred Heart where none may touch them. Keep unstained their anointed hands which daily hold your Sacred Body. Keep unsullied their lips which daily taste your Precious Blood. Keep pure and steadfast their hearts, sealed with the sublime mark of the priesthood. Let your holy love surround them and shield them from the influence of evil. Bless their labors with abundant fruit and may the souls to whom they minister be their joy and consolation on earth and in heaven their beautiful and everlasting crown. Jesus, eternal Priest, remember also your Priestly People who turn to you with confidence. Keep us and our families faithful to you. Listen to our prayers and help us in our needs and fears, our temptations and frustrations, in all that is trying or distressing in our lives. We trust in your merciful love as we make all these prayers through your chosen child, St. Therese. Amen. Please join us as we pray it privately for all priests and for your intentions. The current week's homily is available on a link on the front page of the website next to the link for the current week's bulletin. On the page with the prior bulletins, the corresponding homily will be sitting side by side with its bulletin. We started on the anniversary of the start of the Catholic Church, Pentecost Sunday. This week, The Twenty-Fifth Sunday in Ordinary Time, is our seventeenth homily to be posted. This week, the homily is given by Monsignor J. Robert Romero. So, take a listen and let us know what you think. Click here to download the Twenty-Fifth Sunday in Ordinary Time homily from St. Landry Catholic Church, Opelousas, Louisiana. The just one is condemned to a shameful death. Whoever receives a child in Jesus' name, receives Jesus. In today’s Gospel, Jesus speaks often about his coming passion. His disciples, for their part, ignore these predictions. Instead, they argue among themselves about what share in Jesus’ royal power and glory will be given them. Jesus’ response to the disciples’ arrogance is not one of anger or frustration. What he does is remarkable - - he hugs a little child and tells his disciples, and us, that whoever welcomes a little child, welcomes him. That is who is greatest in Jesus’ kingdom. What are some specific ways in which you can serve your friends or family members? Sometimes when we strive to be first or be the one that wins, we hurt others. When has striving to be first hurt others? What can you do differently in the future to help others to succeed? Is the role of being a servant for others easy or difficult for you to embrace? Today, Pope Benedict XVI visited the new location of the Vatican Observatory at Castel Gandolfo just outside of Rome in Italy. The Vatican has long had an interest in astronomy. The Vatican Observatory was founded in 1578 by Pope Gregory XIII as a committee to study the data and implications involved in the reform of the calendar that occurred in 1582 --- what is commonly known as the Gregorian Calendar still in use today. 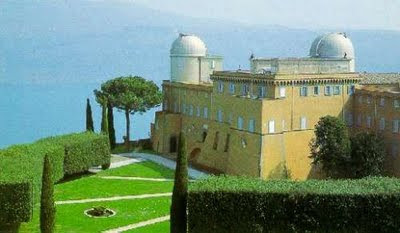 After having an observatory for more than 3 centuries in Rome, it was moved to the grounds of the Pope's summer residence at Castel Gandolfo in the 1930's in order to get away from the city lights. In the last year, the observatory was moved to a renovated convent further out from the Pope's summer residence in order to give the scientists and researchers there more room. They have moved their 22,000 volumes of scientific works including early works of Copernicus, Galileo, Newton, Kepler and others. And there is also a large collection of meteorites. In conjunction with the observatory there in Italy, the Vatican has opened a second site in the 1980's named the Vatican Observatory Research Group in Tucson, Arizona with the University of Arizona. There, away from city lights, they are able to observe even more details. It is considered one of the premier observatories in the world. 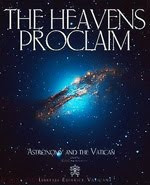 The website of the Vatican Observatory can be found by clicking here. Another interesting fact about astronomy and the Vatican ... Georges Lemaitre is the professor of physics and astronomy who proposed the Big Bang Theory of the origin of the universe. It was a marked change in theories up to that time and better described what astronomers were measuring in the heavens. He became famous and traveled across the United States giving a series of lectures with another physicist named Albert Einstein. Professor Lemaitre taught physics and astronomy at Catholic University at Louvain in Belgium. There, he was known as Monsignor Lemaitre: he was a Catholic priest. In honor of the International Year of Astronomy, the Vatican and its Observatory is delighted to present this small expression of support, filled with beautiful images from the Vatican's telescopes and wisdom from the Popes, to show that indeed. 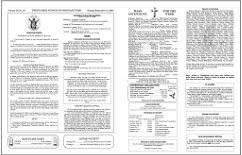 The bulletin for the weekend of September 20, 2009 has been posted. Click here to see it. In our Year for Priests, vocations are being looked at in more and more detail. A new study has found the number of people entering religious life is increasing while the average age of the person entering religious life is becoming younger. The largest numbers of men and women entering are under 30 years of age. John Allen has an interview in the form of an article in the latest National Catholic Reporter, click here to read it, with Holy Cross Brother Paul Bednarczyk, executive director of the National Religious Vocations Conference. One of the interesting parts of the article talks about reaching out via the web. "You’ve got to be present on the Internet, including making use of online promotional materials, keeping your Web site up to date, and so on. Given the diminishing numbers in religious life, young people are more likely to meet a congregation when they Google “vocations” than physically. Having a successful Web presence helps, including social networking, Facebook and Twitter. Some communities post video clips, or invite people to e-mail members of the community." Another interesting section discusses the wearing of the habit. A full 2/3rds of the younger members belong to communities that wear the habit. Of those men who belong to communities that don't, nearly half of the men said they would wear one if it was allowable. More detailed information is available at the NRVC's website by clicking here. The full report is there along with a lot of interesting casual reading material. Ten myths about religious life . . . Myth #7: Religious communities are dying out. CatholicTV is airing an episode tomorrow, September 15, 2009, on how a person becomes canonized. 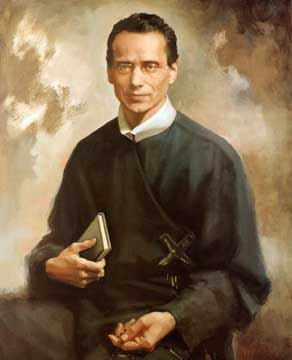 Specifically, the show will discuss Blessed Father Francis Xavier Seelos, C.Ss.R. Father Seelos was a Redemptorist priest who passed away in New Orleans in 1867 from yellow fever. He was declared Blessed on April 9, 2000 and his feast day is October 5. The National Seelos Shrine and Seelos Center is in New Orleans. The show will be on air Tuesday at 8:30 AM and again at 7 PM. CatholicTV is not available on cable in the Opelousas area. You can watch it on Catholic TV's website http://www.CatholicTV.org. After Tuesday's airing, it will be stored in the site's archives allowing you to watch it at any time you please. The website for information on Blessed Father Seelos is http://www.seelos.org. In Sunday's homily, Monsignor Romero quoted Father Joseph Brennan. 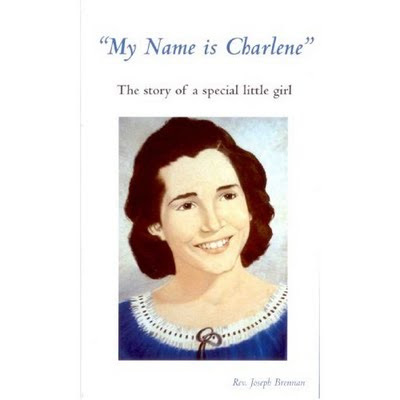 Father Brennan's book is called "My Name is Charlene". It is a small book, just over 50 pages, that describes his experience as chaplain at Our Lady of Lourde's Hospital in Lafayette with Charlene Richard, a terminally ill young girl from Richard, Louisiana. The book is available locally at The Catholic Bookshoppe, 2364 Larkspur Lane, Opelousas, Louisiana 70570,(337) 948-8050. Many boys and young men, when asked whether they might have a vocation to the priesthood, respond by saying something about their desire to marry and to have a family. This is a perfect point of departure both for understanding and for promoting the priesthood. Every man, as a man, is first called to be a husband and a father. Some men live out this primal vocation through the sacrament of marriage and the family life, while others live it through the priesthood. Hence, the priestly calling is a fulfillment of a man’s primal vocation to be both husband and father. The priest, as an alter Christus, takes the bride of Christ — the Church — as his own bride. The priest, universally called father, cares for and shepherds into eternal life the children of God. The priesthood is another way of living the life of a man, husband, and father. It is demanding and rewarding. It calls for courage and sacrifice. It is joyful and painful. It is not what you expected, and it is more than you expected. Just like the life of the married family man. With this understanding, with a love of the Church, the Eucharist, and the priesthood, we must all promote vocations to Holy Orders, especially within our own families. But this is the particular duty of family men. Father, grandfathers, and uncles must give their boys their permission and their blessing to consider the priesthood. 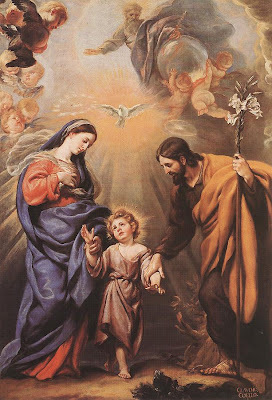 A boy or a young man must have the explicit, spoken, and clear support of the men in his life that it is okay to consider being a priest, that it would be an honor for family and friends, that they – the men in his life -- would be proud of him should God call him to Holy Orders. As we promote priestly vocations, we may rest assured that Christ will use our good will and efforts in order to sustain the Church with the Eucharist, the sacraments of grace, and the truth of divine revelation until He comes again in glory. The current week's homily is available on a link on the front page of the website next to the link for the current week's bulletin. On the page with the prior bulletins, the corresponding homily will be sitting side by side with its bulletin. We started on the anniversary of the start of the Catholic Church, Pentecost Sunday. This week, The Twenty-Fourth Sunday in Ordinary Time, is our sixteenth homily to be posted. This week, the homily is given by Monsignor J. Robert Romero. So, take a listen and let us know what you think. Click here to download the Twenty-Fourth Sunday in Ordinary Time homily from St. Landry Catholic Church, Opelousas, Louisiana. God’s servant will suffer great physical harm. Faith is dead if it does not have works. Those who wish to follow Jesus deny themselves. Today we hear one of the Lord Jesus’ most challenging teachings. Those who wish to follow him, we are told, must deny themselves and take up the cross. The image of the suffering servant in today’s first reading makes this teaching all the more challenging. The letter of Saint James suggests that those who choose to follow Christ must also do so in word and deed, caring for those who are less fortunate. Let us be open to God’s challenging word and pray that we will be given renewed strength to follow Christ. What do you think it means for you to follow in Jesus’ footsteps? What is the cross that you carry today? How do you follow Jesus in the workplace? and at home? “From Sinner to Saint: Living the Authentic Spiritual Life”. Presenter is Fr. Chester Arceneaux of Our Lady of Wisdom Parish. Open to young adults (18-35) married or single. Call 261-5653 for more information. Everyone is invited to this month’s Charismatic “Sunday Vigil” Mass – Saturday, September 26th, 7:00 pm - --sponsored by the Lafayette Diocese Catholic Renewal with approval of Bishop Jarrell. The mass will be held at Our Lady Queen of Peace Church, 145 MLK Jr. Drive in Lafayette. All priest and deacons are invited to participate. There will be lively liturgical music ministry with pre-praise session, prophecy after communion, individual prayer after mass and confessions as well. Participants are encouraged to maintain their local parish offering. Call the CCR office for more information, Monday, Wednesday, and Thursday afternoons at 265-3773. 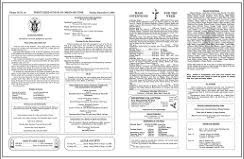 The bulletin for the weekend of September 13, 2009 has been posted. Click here to see it. Monday night, September 7, St. Landry Catholic Church was the site of the memorial mass of Lt. Father Verbis Lafleur. It was the sixty-fifth anniversary of his death. The main celebrant and homilist for the mass was Lt. Cmdr. Father Richard Vidrine, CHC, USNR. Father Vidrine is a retired military chaplain and brought everyone a little closer to understanding what life as a chaplain was like for Father Lafleur. To listen to his homily, click here. Concelebrants included our own pastor, Monsignor J. Robert Romero as well Father Mark Ledoux, who has worked hard in the beatification process, Father Conley Bertrand, and Father Jason Vidrine. Deacon John Miller, Deacon of the Eucharist, Deacon Tom Lindsey, Deacon of the Word, and Deacon Jerome Collins, Deacon of the Gospel, participated. Attending in choir were Father Brad Guillory and a seminarian from the Diocese of Lafayette, Louisiana, Taj Glodd. Vernon Broussard Sr. helped to bring the offering gifts. Mr. Broussard attended seminary with Father Lafleur. He has put together a book describing the great men associated with the Church that touched his life including Father Lafleur. Please contact the parish office for information on getting a copy. To see photos of the event in our photo gallery, please click here. It was wonderful seeing such a large crowd at St. Landry Catholic Church. After the mass, many attending came together to pray the rosary using the meditations from Father Lafleur's life. Each Monday evening at 6:15 PM, parishioners gather together for a rosary at the Father Lafleur monument. Please try to join us. December 8 is the Feast of the Immaculate Conception of the Virgin Mary. Today September 8, 9 months after that date, is the Feast of the Nativity of the Blessed Virgin. The painting above is by the Spanish artist Esteban Murillo and was painted in 1660 and is called "The Birth of the Virgin". 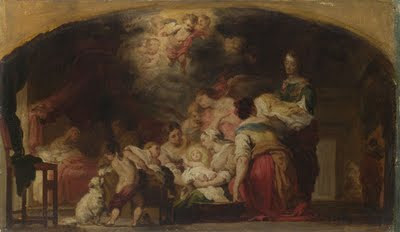 It shows the newborn Virgin being taken from her bath by servants and angels as she radiates light. Cherubs hand a towel from a wicker basket. Other servants and angels kneel as a cloud of angels descends from heaven. The parents of Mary also appear in the left background, Saint Anne rests on her bed as Saint Joachim stands to one side. Servants dry swaddling clothes at the fireplace on the right. The following is from today's morning reading of the Liturgy of the Hours. It is a homily on The Nativity of the Blessed Virgin and was written in the 700's, 1300 years ago. The old has passed away, all things are made new. The fulfillment of the law is Christ himself, who does not so much lead us away from the letter as lift us up to its spirit. For the law’s consummation was this, that the very lawgiver accomplished his work and changed letter into spirit, summing everything up in himself and, though subject to the law, living by grace. He subordinated the law, yet harmoniously united grace with it, not confusing the distinctive characteristics of the one with the other, but effecting the transition in a way most fitting for God. He changed whatever was burdensome, servile and oppressive not what is light and liberating, so that we should be enslaved no longer under the elemental spirits of the world, as the Apostle says, nor held fast as bondservants under the letter of the law. What does the priest do? From the Letter to the Hebrews: “Every high priest is taken from among men and made their representative before God, to offer gifts and sacrifices for sins” (5:1). The priest offers sacrifice to God. In the Old Testament, God revealed to the Israelites how He desired to be worshiped. This worship of the one true God involved three essential and indispensable elements: 1) an altar; 2) a sacrifice; 3) a priest. The worship of the Eternal One was brought to its perfect fulfillment in Christ Jesus, who, upon the Cross became the priest, the altar, and the sacrificial victim, all in one. However, the requirements of divine worship were not abolished with Christ, but brought to their perfection in Him. We still have need of an altar, a sacrifice, and a priest. We need the one altar, the Cross; the one sacrifice, the Body and the Blood; the one priest, Jesus Christ. 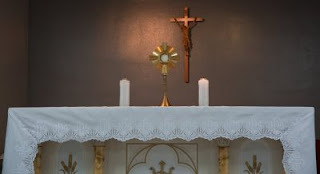 All of these our Lord still gives to His Church by means of the sacraments: in Holy Orders, the priest; in the Eucharist, the sacrifice; in the Church (which is the ‘sacrament of salvation’), the altar. And so the priest, chosen by God from among men, made their representative before Him, offers the sacrifice of Christ, the sacrifice of the Cross, for the glory of God and for the salvation of souls, for all who have asked him to pray for them in general and in particular, and for the good of the holy Roman Church. The Lt. Father Verbis Lafleur Memorial Mass will be held at 6:30 PM TODAY at St. Landry Catholic Church in Opelousas, Louisiana. Celebrant will be Rev. Richard Vidrine, CHC, USNR. The Daily World has a great article on Father Lafleur in today's paper. Click here to read it. 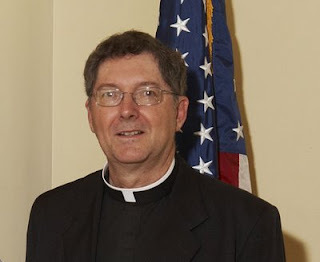 The St. Landry Catholic Church website has a host of resources about Father Lafleur. 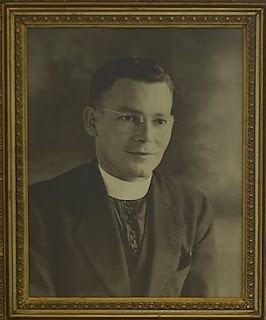 Click here and you will find links to a Novena to Father Verbis Lafleur, a special prayer of adoration before the blessed sacrament, two different prayer cards, and a series of rosary meditations that include information about the life of Father Lafleur. Click here to read an article in the Advocate on the impact Father Lafleur has had on the Lowe family in California. Click here for a detailed description about the monument and key moments of Father Lafleur's life. And click here for a 3D interactive view of the monument. This is known as a Photosynth and allows you to zoom in, zoom out, and rotate the monument in 3 dimensions. The current week's homily is available on a link on the front page of the website next to the link for the current week's bulletin. On the page with the prior bulletins, the corresponding homily will be sitting side by side with its bulletin. We started on the anniversary of the start of the Catholic Church, Pentecost Sunday. This week, The Twenty-Third Sunday in Ordinary Time, is our fourteenth homily to be posted. This week, the homily is given by Monsignor J. Robert Romero. So, take a listen and let us know what you think. Click here to download the Twenty-Third Sunday in Ordinary Time homily from St. Landry Catholic Church, Opelousas, Louisiana. 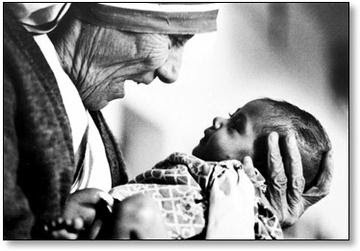 Today, September 5th, is the 12th anniversary of the death of Blessed Mother Teresa of Calcutta. Best known for founding the Missionaries of Charity, Mother Teresa opened orphanages, schools for the poor, and homes for the dying in the poorest nations while she opened homes for drug addicts, prostitutes, battered women, and the first home for AIDs victims in New York City in 1985. The following is the homily by Pope John Paul II on the occasion of her beatification. The cry of Jesus on the Cross, "I thirst" (Jn 19: 28), expressing the depth of God's longing for man, penetrated Mother Teresa's soul and found fertile soil in her heart. Satiating Jesus' thirst for love and for souls in union with Mary, the Mother of Jesus, had become the sole aim of Mother Teresa's existence and the inner force that drew her out of herself and made her run in haste" across the globe to labour for the salvation and the sanctification of the poorest of the poor. 6. "Lord, let your mercy be on us, as we place our trust in you". How often, like the Psalmist, did Mother Teresa call on her Lord in times of inner desolation: "In you, in you I hope, my God!". Let us praise the Lord for this diminutive woman in love with God, a humble Gospel messenger and a tireless benefactor of humanity. In her we honour one of the most important figures of our time. Let us welcome her message and follow her example. The eyes of the blind will be opened. God chooses the poor to inherit the kingdom. Today’s scriptures are rich with messages for each of us. We are told to be strong and to fear not. We are summoned to show no partiality to those whom we encounter in our daily life. Today’s Gospel reminds us that, at the time we were baptized, our ears were opened to listen to God’s word. We were also enabled to proclaim that saving word to others. Let us open our ears now to hear words that challenge, courage, and heal. How do you shun others whom you don’t like? Who are the people in our world today who sometimes go unnoticed? What could you do to help them? In what ways do you discriminate in your heart against those whom you judge less than fully worthy? This is another new video out of the Diocese of New York from Grassroots Films called Ordination 2009. It's really powerful and moving. You might remember their earlier video on God in the Streets of New York City. You can see the older video here. As part of the celebration of the Year for Priests, a plenary indulgence is available today on the First Thursday of the month. The mass at St. Landry Catholic Church is in the Valentin Hall Chapel at 12:10 PM. The intentions for today's mass are for Ruby Romero; Dwayne Joubert (BD) and family. Today is the Memorial of St. Gregory the Great, Pope and Doctor of the Church. For more information on him, click here. 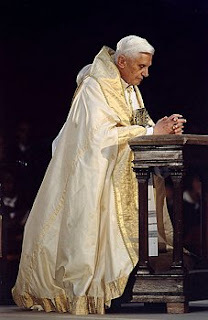 Pope Benedict's general prayer intention for August is: "That the word of God may be better known, welcomed and lived as the source of freedom and joy". His mission intention is: "That Christians in Laos, Cambodia and Myanmar, who often meet with great difficulties, may not be discouraged from announcing the Gospel to their brothers, trusting in the strength of the Holy Spirit". 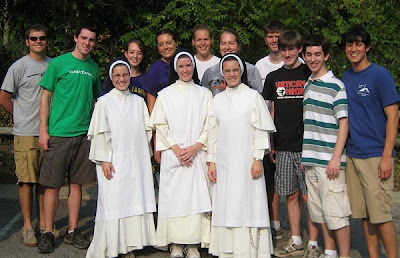 The bulletin for the weekend of September 06, 2009 has been posted. Click here to see it. 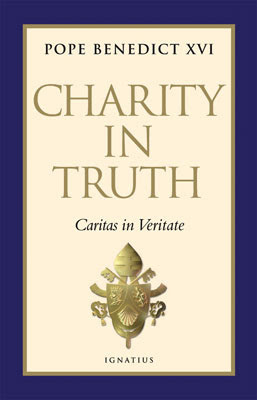 The hardback edition of the Holy Father's encyclical, "Charity in Truth" is now available from Ignatius Press. Ignatius Press, founded by Father Joseph Fessio, produces beautiful editions of all of the books written by the Pope even dating back to his days as a university professor. The book is available at The Catholic Bookshoppe, 2365 Larkspur Lane, here in Opelousas for $14.95. The phone number there is (337) 948-8050. He also has the matching two prior encyclicals released by the Holy Father, "God is Love" and "Saved by Hope". The following is the publisher's description of the book. A priest might well say to his congregation: “My baptism is about my own growth in holiness. But my priesthood is about your sanctification." Like any other baptized person, the priest is called to seek the face of God, to know, love, and serve Him in this life, so as to enjoy blessedness with Him forever in the next. But as an ordained man, the priest’s personal sanctification is advanced by the worthy exercise of his sacred ministry. Every time the priest dons a stole - - whether to celebrate Mass, or to hear confessions, or to anoint the sick, or to baptize, or to preach - - he is living out his priestly vocation and working toward his own sanctification. Living the priesthood, however, is more than just doing what priests do. It is also being who priests are: a sacramental icon of Christ. If the priest is to live his priesthood to the fullest, he must be a disciple of the Lord, a man of prayer, a channel of grace, a lover of holiness, a seeker of God, a sinner repentant, a son of the Church, and a father to all. 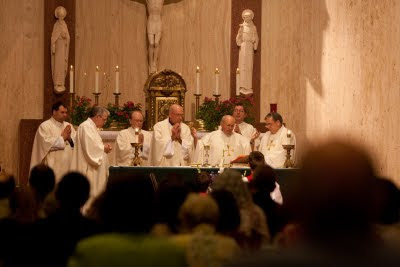 In this manner, he does not merely exist or survive as a priest, but he truly lives the priesthood that has indelibly marked and transformed his soul for all eternity.